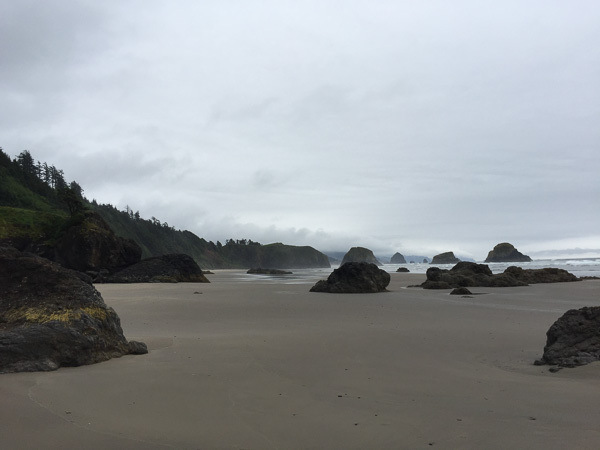 Crescent Beach is one of my favorite locations on the Oregon Coast. 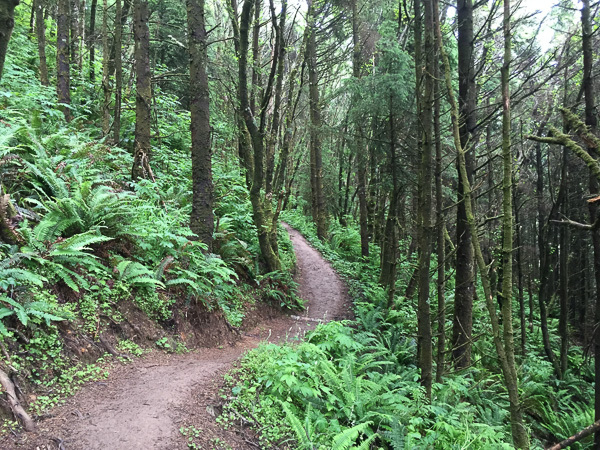 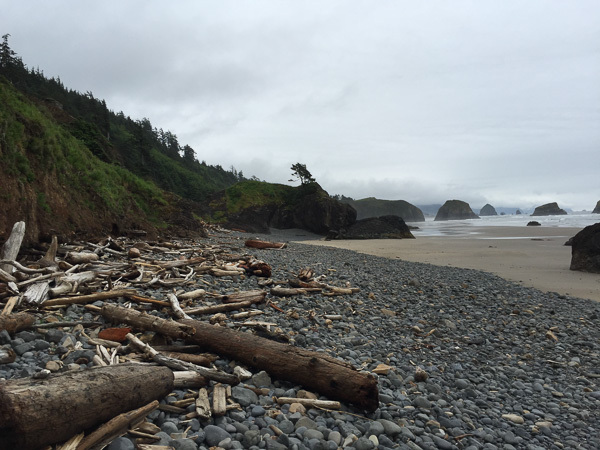 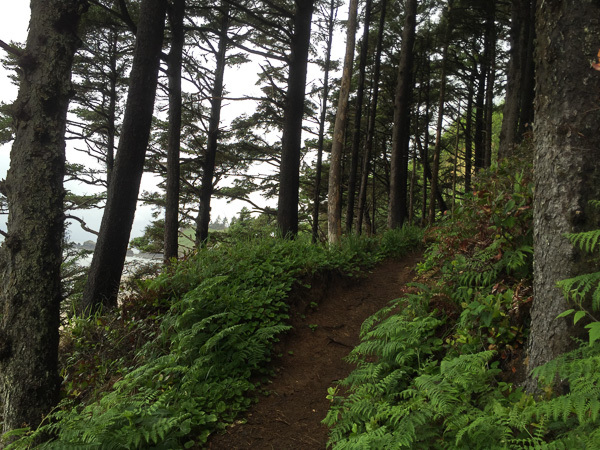 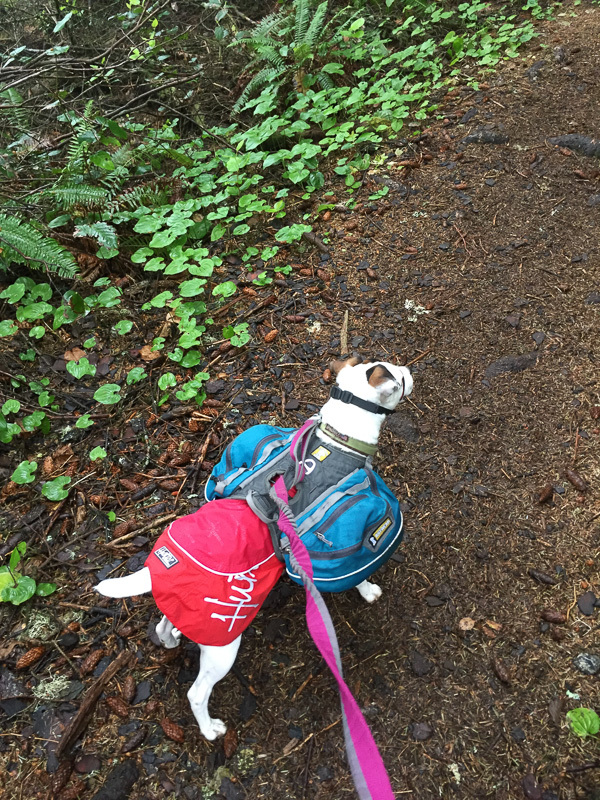 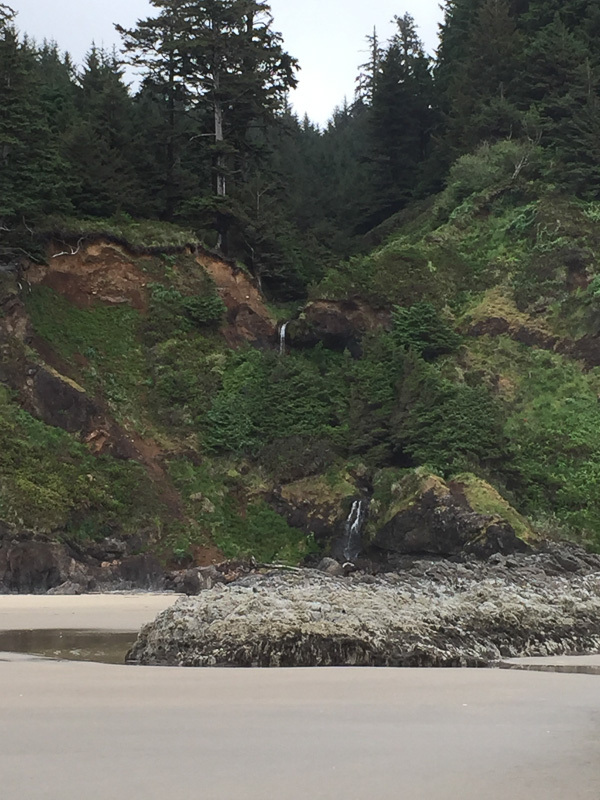 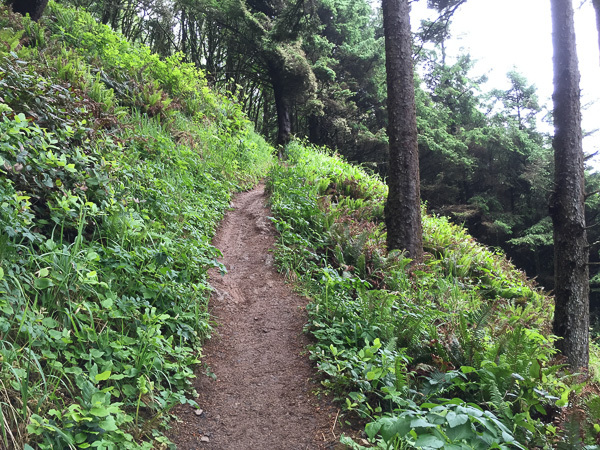 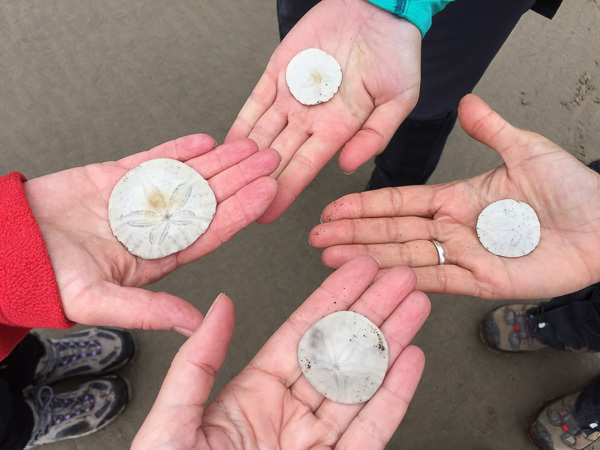 The beach can only be reached via a 1.2 mile hike through muddy coastal forest. 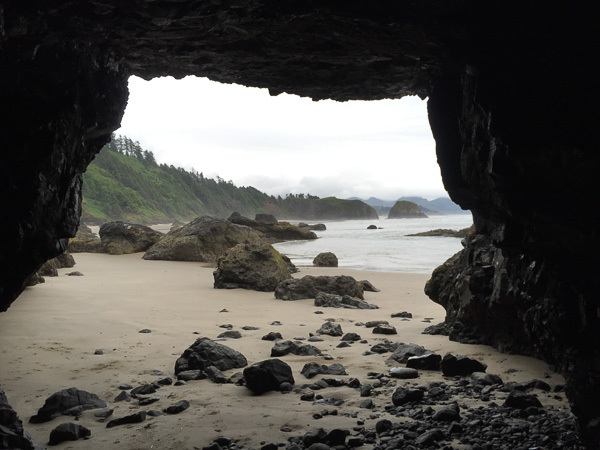 Once there, it’s never crowded. 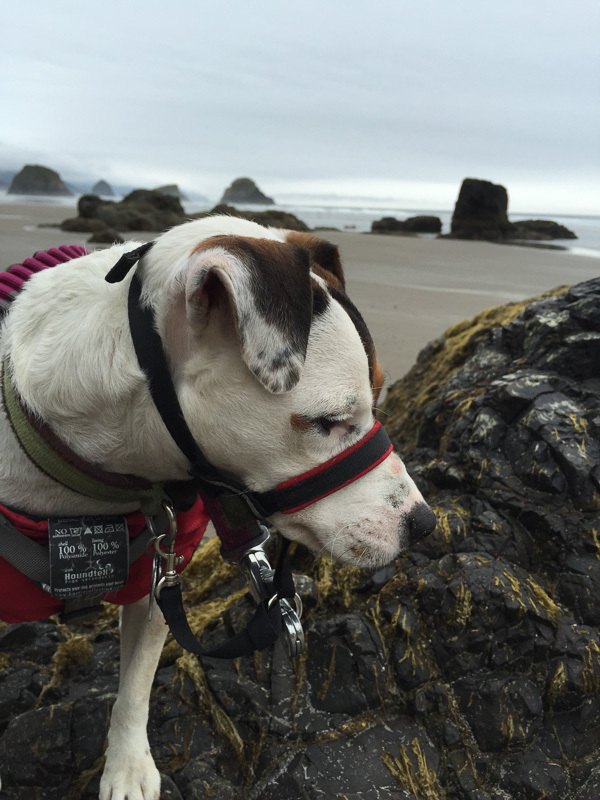 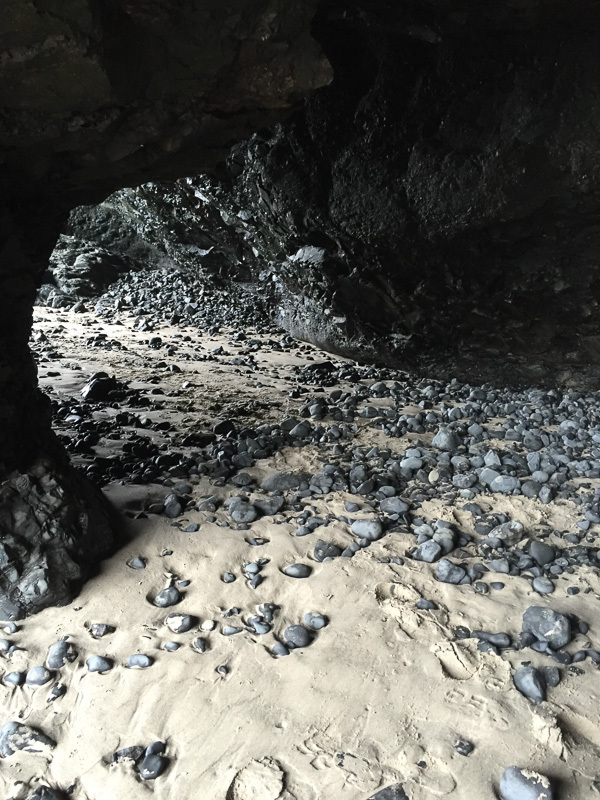 We went during low tide and explored a sea cave near Ecola Point. 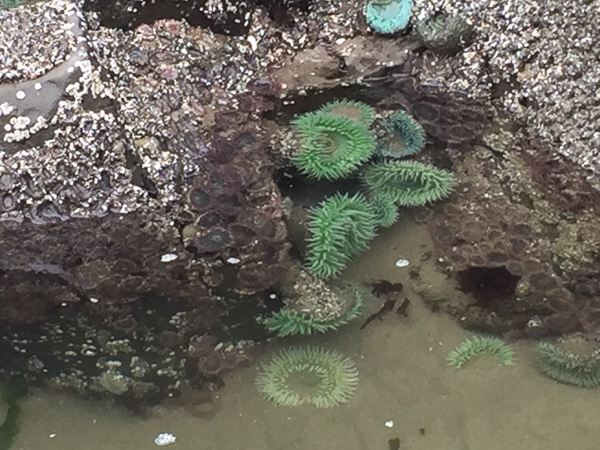 There were tidepools around one of the sea stacks, with sea anemones.